Shocked she must have been. It really is a small world. Don't know when you will bump into someone from your past. Can't even imagine her plight! That's a nice one! I can imagine how that would feel...Aditi, isn't it just so scary that some shadows never leave us? I know...certainly can be frightening! Is this a true story? If it is then no wonder it is a shocking experience! Loved the way you used the prompt. Wow..I love the foreword..not waiting for the whole story..this has great potential. That is a revolutionary story!! Any girl will feel awkward in such a situation. Nice take on the prompt. Thank u so much Usha ji! Oh No! I wonder what will happen next? Can lovers be "just friends" ever? I wonder! Yes who knows Suzy...it might be a coincidence or an act of fate! Dreamy eyes huh? Sounds interesting. 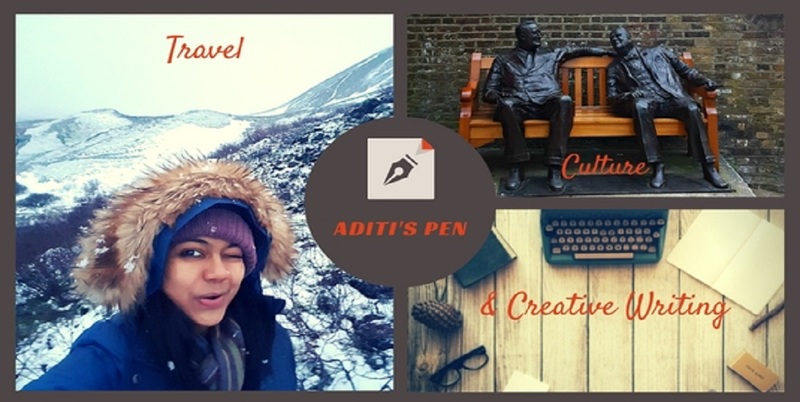 I do hope you will take this forward Aditi. Short & sweet..it is a small world! Really Geraldine...thanks...maybe I'll pick up this thread soon!